Ron Funches brought his comic stylings to the stage for the Student Senate Showcase on Jan. 19, 2012. To see video of Ron Funches on campus, click here and here. Student senators were on hand to explain what the senate has been working on including voter registration, textbook prices and OrgSync, a new web site designed to be the way that students connect with their student government. Applications were also available for student government positions. “If you don’t get involved, you don’t have a right to gripe,” says Gilbert Prado, criminal justice major. Some student senators gave out information on where cheaper textbooks could be found. Brent Jacobson recommended Amazon.com and half.com and said that the senate was working with professors to look at open source textbooks. OrgSync will offer students the opportunity to connect with their student government as well as an easy way to find out what events are coming to Salt Lake Community College. Applications for student body president and vice president are available. The submission deadline is Feb. 14, 2012. “Why not run?” asks President Mike Bird. It will help excel growth for whatever students want to do in their professional life. Campaigning starts Feb. 26 with voting on March 7 and 8. Chair and board member positions are also available. To read more about student senate and options for finding cheaper textbooks, look for the Jan. 25 print edition of The Globe, available at any SLCC campus. 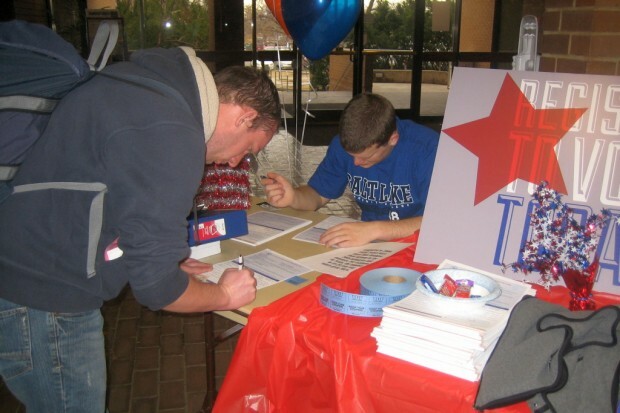 SLCC student Brayden Christlieb, left, registers to vote while Rhett Roberts checks some paperwork. 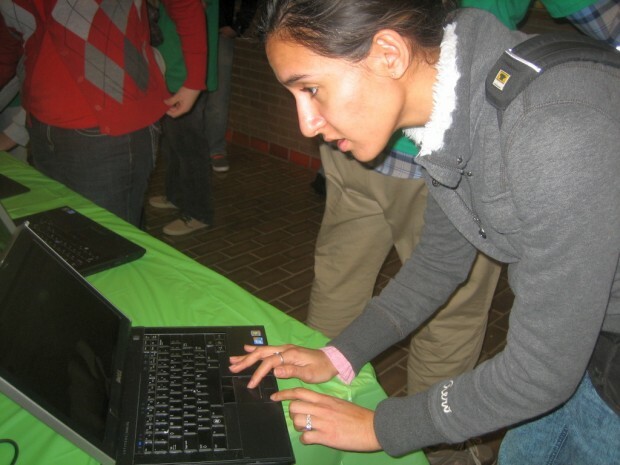 Jackie Bedoya, biology major, signs up for OrgSync. Zach Case, left, helps Jackie Bedoya, register for OrgSync. 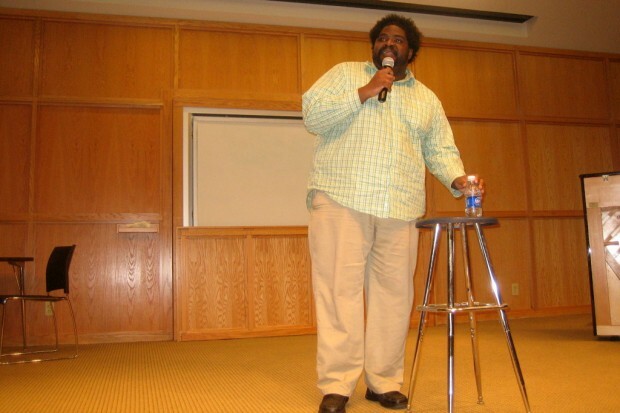 Stand-up comic Ron Funches tells jokes at the Student Senate Showcase. 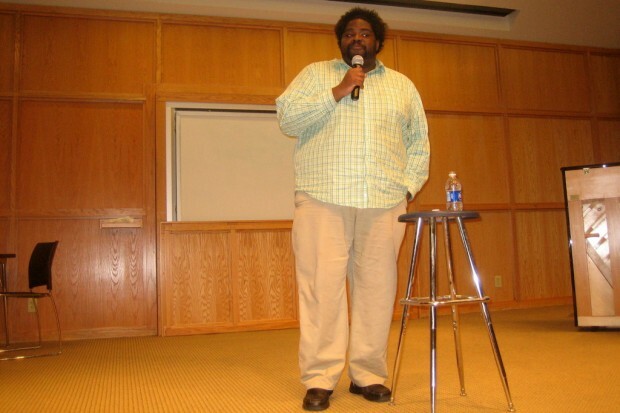 Ron Funches tells jokes at the Student Senate Showcase.